A large part of my job as a digital fashion editor involves being introduced to dozens of new brands all the time. On any given day, my email inbox and DMs are flooded with pitches, not to mention the amount of time I spend discovering these up-and-comers on my own (it's become a hobby, at this point). But what does it take for any of these names to stick out in my mind? Is it a big splash on the influencer scene or spotting an A-list celebrity wearing the brand? For the following seven emerging talents, it's something a little less obvious but way more important when it comes to ensuring long-term success—the kind that goes beyond social media–fueled hype. The key to their success isn't how many Instagram followers they've amassed or who's worn their pieces yet. It actually lies on the pages of their résumés. From Gucci and Oscar de la Renta to The Row and Yeezy, this new guard of fashion designers is comprised of graduates of some of the most iconic houses. It seemed obvious to me why the wealth of experience they gained would translate into really strong collections of their own, but I was curious to know more about how they see their backgrounds playing a role, so I chatted with each of them about what they learned from their past positions and what prompted them to launch collections of their own. Below, discover why these seven new fashion designers are names you'll definitely want to know and shop our picks from each line. Emma Rowen Rose has gained a lot of attention in a short amount of time. Before her collections were even available for purchase, we were already buzzing about them. But although the designer may be young and resourceful (she met her former boss Alessandra Rich on a plane and promptly began working for her), her talent goes far beyond simple luck. Rowen Rose has a distinct aesthetic that fuses classical baroque elements in an almost theatrical way (her words), and the very original silhouettes have caught on among the street style set. What’s the most significant thing you learned from your previous role that you brought along to your line? It taught me a lot about the industry, I was just out of school and never experienced working in a creative office before, so I learned a lot. And most importantly about myself. I realized I was a real control freak at work, but even with this organization need, I am always craving for creativity, always more. What prompted you to launch your own namesake line? I always wanted to work for others (and I still do! ), so when I left the company, actually it was to find something else elsewhere. But I realized I needed more in my portfolio, so I created the collection called A Chambermaid’s Diary, which we shot with friends at my boyfriend’s place. When I posted it on Instagram, I got so much great feedback, press requests, etc., that I thought Maybe this is what I am meant to do. I hesitated a long time because launching something on your own is scary, and being an entrepreneur doesn’t always go well with being creative. But I made the leap and created my company in July 2018. How would you define your personal style perspective? I try to design clothes that are powerful, for women who crave to be original and are comfortable with their masculinity as much as their feminity. They are not scared to be outstanding, almost theatrical but in a very chic, elegant, almost old-fashioned way. I like to think that we can still create cool and modern fashion in an elegant way—elegant doesn’t mean boring! In my experience, asking a designer about their inspirations will warrant a vague and abstract response, but that's not the case with Carmen Rivera of Usonia. The luxury dress line pulls inspiration from Frank Lloyd Wright—the word "usonia" refers to his vision of a utopic landscape for the U.S. Rivera's brand-new line that offers elegantly constructed dresses that speak to the minimalist in all of us. Where have you worked before launching Usonia and in what capacity? During my time at RISD, I had the opportunity to intern at Marc Jacobs’s shoe department, Alexander Wang’s knitwear team, and The Row’s atelier under the team of pattern makers. After completing my thesis, and leading up to my graduation, I was offered some freelance work at Alexander Wang. From that moment on, I continued to jump around departments, working a few months as a fabric developer, then on trim, then on special projects, etc. Eventually, I realized I wanted to focus on design and was referred for an assistant designer position at Elizabeth & James. I then came back to where it all started—Alexander Wang—as a menswear design coordinator. I’ve pretty much tried every department, which has helped me develop skills I didn’t learn in school and made going off on my own last year possible. What’s the most significant thing you learned that you brought along? First, to work on a team and to learn from your colleagues. Second, how important it is to adapt to every new challenge thrown at you. The fashion industry is so fast-paced, sometimes you feel like you’re being set up for failure. Keeping a positive attitude and accepting each and every challenge will help you stand out. What prompted you to launch your own line? Recognizing the need for clothes that consider the wearer, designed without an expiration date. I love layering, finding new ways of wearing my older garments. I don’t believe in full looks or trying each and every new trend. Most importantly, I like to feel beautiful when I leave my home. I base the same approach when designing Usonia and hope that the pieces make my clients feel their best and most beautiful self. Is there a certain type of person you keep in mind when designing? It’s my mother, me in 10 years, the chic older woman that I share the elevator with every morning, my younger sister, my business partner. It’s these women I encounter, admire, and aspire to be—women I want to help feel beautiful every day. I imagine that Natalie Ratabesi's résumé is actually a book. The designer has worked at nearly every brand one would consider a major American fashion house (and then some) before launching her personal project TRE by Natalie Ratabesi: Christian Dior, John Galliano, Ralph Lauren Collection, Gucci, Philosophy, Vince, and Yeezy. From the beginning, TRE's amalgamation of cool-girl denim silhouettes and part-ready gowns has been stocked at top retailers like Net-a-Porter to FWRD and loved by a crowd of celebrities and fashion insiders alike. The most significant thing I’ve learned that I brought along with me is to make sure that everything you do, you do with passion. After working for so many talented people, learning so much, and having amazing experiences, it was time to concentrate on my vision instead of executing other people's vision. I would define my personal style perspective as slightly utilitarian with a balance between femininity and masculinity. A contradiction—it’s always about the contradiction. There's a good chance you've seen Merlette already. The brand's voluminous, summer-ready Soliman dress has become a fashion insider must-have, and it's no coincidence that designer Marina Cortbawi has carved out a space for herself with such a distinct perspective. Her background actually isn't in design, but on the business side of the industry, which she says taught her a lot about what women from all over the world really want and need in their closets. Where have you worked before launching your line and in what capacity? I worked for small and large design houses in New York, London, and Paris. In some smaller brands, I did a bit of everything, and most recently before launching Merlette, I was at Carolina Herrera and Oscar de la Renta where I was on the commercial side in charge of the international business. I primarily learned the business of fashion—the traditional retail and wholesale, as well as the direct-to-consumer model and how to market both globally. I traveled a lot and learned about all the nuances of the needs of different women in the world and their lifestyles. From meeting women during my travels and from my own needs during travel. I often visited very hot countries and wanted lightweight and easy-to-care-for clothing that was appropriate not only for business meetings but pieces I could wear off-duty too. Cotton poplin and eyelet lace dresses were my go-to pieces. I often wore vintage because I didn't find the kinds of styles I wanted around, so I created them with my own needs and the sensibilities of the women I'd met in mind. My personal style is a considered effortlessness, so in the end, I don't really think too much about what I wear, because all the pieces in my wardrobe have already been carefully considered, spark joy, and mostly all work back to each other. I wear white a lot of the time because it's a clean canvas, and prefer simplicity in the process of getting dressed and styling. My clothes have subtle details, such as rich embroidery that is tonal, or an unexpected ruching on a sleeve. I prefer loose fits, so I can move freely because I am moving a lot. What has been your biggest "I made it" moment to date? There have been many moments that have shown me that the brand is successful, such as getting a nice order from a major retailer, however, I would say personally it is seeing a woman wearing Merlette. The first time this happened to me was in Tokyo where I spotted a woman wearing our dress on the street, and I went up to her to introduce myself, and she just lept at me gave me the most massive hug! Is there a certain type of woman you keep in mind when designing? We do design for quite an international type of woman and consider a wide age range. The Merlette woman is simply very natural and appreciates a nice fabric and cut while feeling free and empowered in her clothes. Some of our pieces are so voluminous they become a conversation point, therefore we design for women who exude this confidence and openness. I can't help but smile as I look at (and write about) Christopher John Roger's namesake collections. The colorful assortment of whimsical ruffles and sumptuous feathered silhouettes hits right at the heart of what we love so much about fashion: its ability to transform us. Rogers cut his teeth at DVF and Rosie Assoulin—two designer's whose brand of femininity we see manifesting in his collection—before launching on his own. I was brought onto DVF by Jonathan Saunders when he was revamping the brand and have been there in a designer capacity until just recently. I was there for around two and a half years. Prior to that, I had internship roles with Chris Benz, Tanya Taylor, and Rosie Assoulin. To focus exclusively on the work that you do, on your own voice, and research, research, research! An inspired mix of impatience and serendipity. Clothes that champion the self and propose joyful options for the occasion and celebratory dressing. A person who's excited about life, who laughs often, who'll go for the extra slice of cake. They don't care if you care. We don't really cater to one type of person. Honestly, we always try to lead with joy. After working under Phoebe Philo at Celine and then for Derek Lam, designer Peter Do launched his own namesake label at the beginning of the year, and it has since received the acclaim of fashion's top insiders and earned a spot in Net-a-Porter's coveted Vanguard program. The ready-to-wear collection is filled with artfully deconstructed pieces and beautiful tailoring in clean, minimal palettes. The designers who make up the NYC-based brand Commission, Jin Kay, Dylan Cao and Huy Luong, have collectively held roles at Gucci, Prabal Gurung, Phillip Lim, and Michael Kors. Alongside Peter Do, the line has earned a coveted spot in Net-a-Porter's Vanguard program that seeks to support and showcase emerging talent, a veritable stamp of approval for any new brand. As for the perspective, '80s-style workwear is the overall theme of the collection, which manifests in tailored separates with unique detailing. 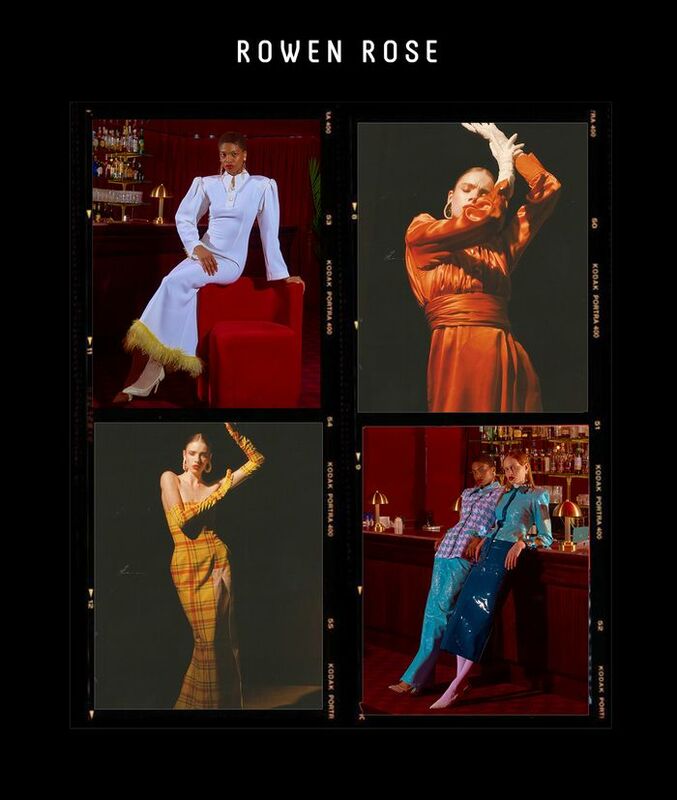 The designers credit their style perspective to their childhoods in South Korea and Vietnam, where they grew up witnessing how their own mothers and the working women around them would dress. Next, discover the L.A. brands all the coolest Angelenos are keeping secret from their NYC friends.